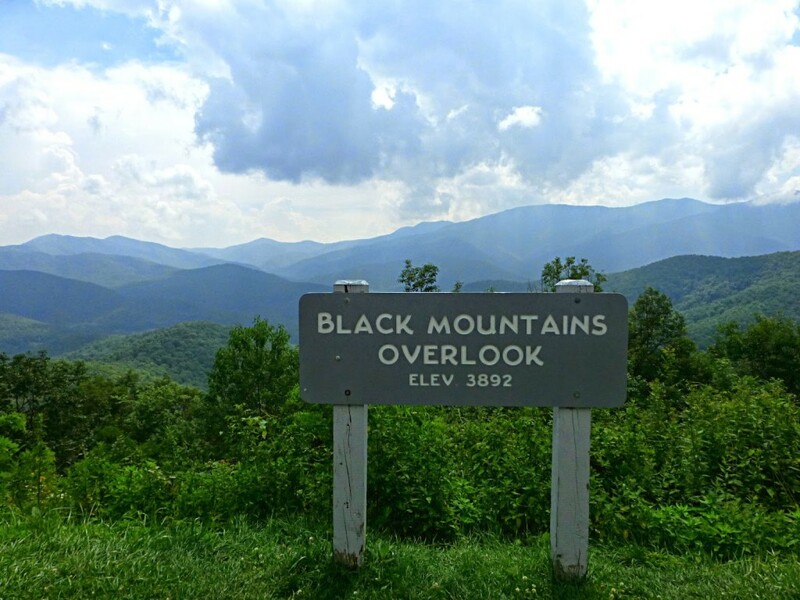 Looking for some incredible views when you visit the mountains of Western North Carolina? 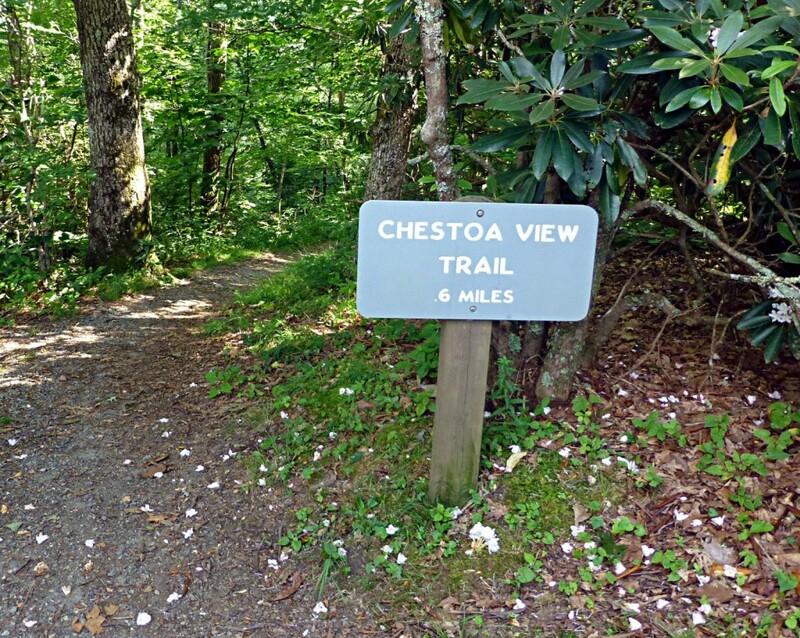 Combine a day of scenic driving along the Blue Ridge Parkway north of Asheville with an easy hike, such as the Chestoa View Trail (0.6 miles long). 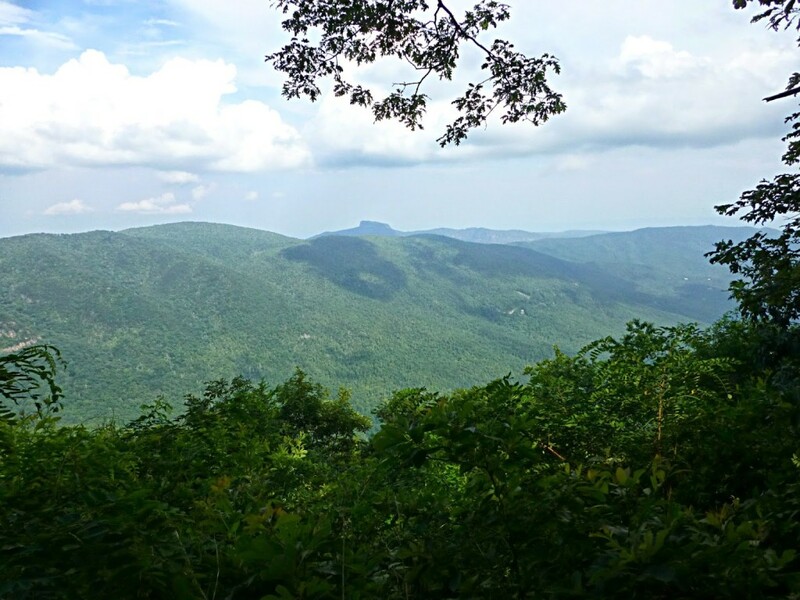 Located just four miles south of Linville Falls on the Blue Ridge Parkway is Chestoa View at Milepost 320.7. You’ll see a small parking area and picnic tables, with the Chestoa View trailhead leading off from the parking area. 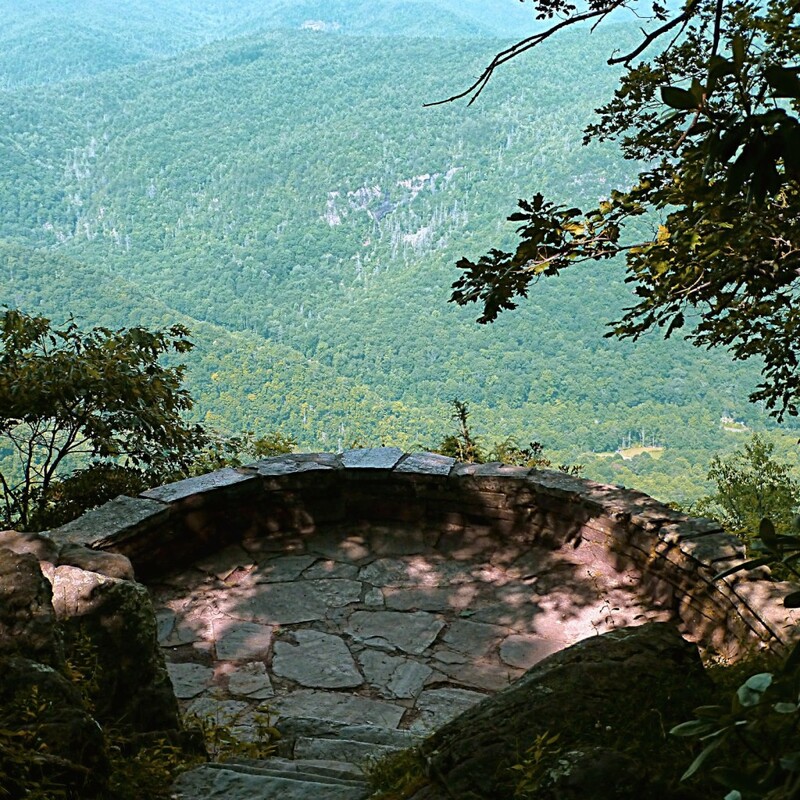 Before you begin, though, walk to the left of the trailhead and head down a set of stone stairs to the Chestoa View overlook, which looks out on the Linville Gorge area. The Chestoa View overlook is different from a lot of Blue Ridge Parkway overlooks where you typically pull off to the side of the Parkway to take in the expansive mountain views — this one is more secluded and you can’t see it from the road. Views are still spectacular, though! OK, so let’s talk about the trail: The Chestoa View Trail is a little over a half mile long. 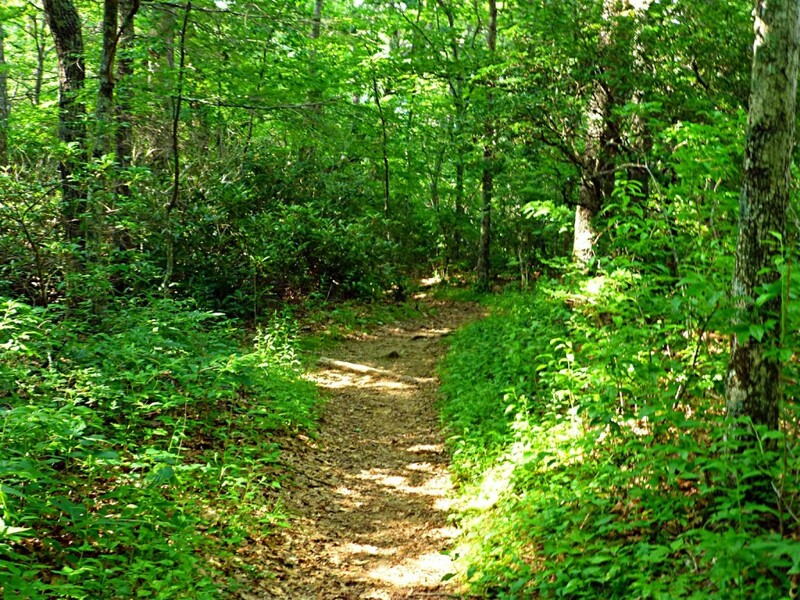 It’s an easy, flat hiking trail that leads you through hardwood forest and rhododendron thickets. Tons of native ferns and wildflowers. Dappled sunlight. Moss covered tree trunks. So picturesque! About halfway along the trail, the pathway splits, forming a loop back around to the part of the trail that you were on at the split. Think of this trail like a (not so straight) sewing needle and the split begins the eye/loop of the needle So at this point, you can go left or right to start the loop. The left-hand path opens up to a stellar view of Table Rock in the distance. Once you complete the loop, you’re on your way back to the parking area. Take Highway 70 east through Old Fort then take scenic Highway 80 north for 12 miles to the Blue Ridge Parkway. Turn north on the Parkway and travel about 22 miles. You’ll see some beautiful overlooks along the way. Take Highway 70 east, go past Highway 80, and then turn left (north) onto scenic Highway 221 in Marion. Take Hwy 221 about 20 miles to the Blue Ridge Parkway. Along the way, you’ll pass a winery, a fantastic local cheese shop, a golf course, and even caverns. Turn off of Hwy 221 and head south on the Blue Ridge Parkway and travel about four miles. A third option is to take Highway 70 east and turn left onto Curtis Creek Road (before you get to Highway 80) and travel 12 miles up to the Blue Ridge Parkway, where you’ll turn north. You’ll be driving along Curtis Creek through the Curtis Creek Recreation Area, which was the first section of land purchased under the Weeks Act of 1912, establishing National Forests. IMPORTANT: Curtis Creek is unpaved for about nine miles to the Parkway and we recommend it only if you have 4-wheel drive. It can get bumpy! 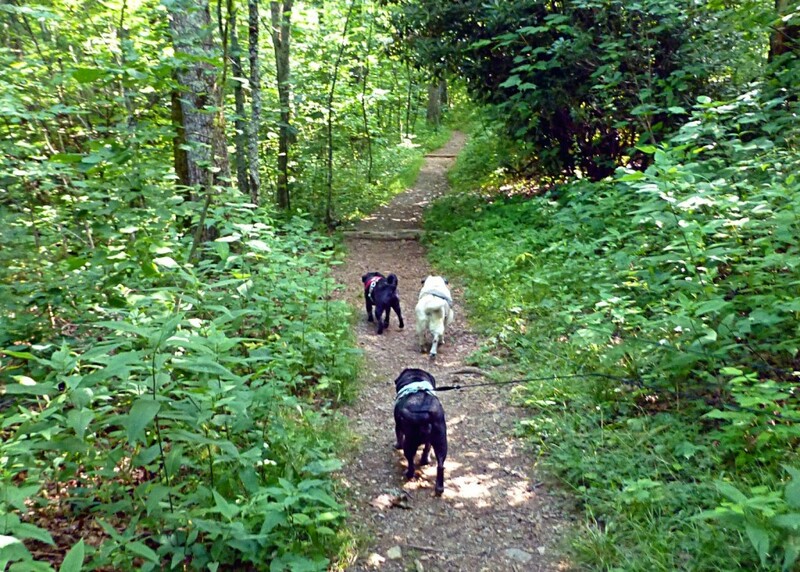 This entry was posted in Uncategorized and tagged Blue Ridge Parkway, hiking, outdoors, Summer by Inn on Mill Creek. Bookmark the permalink.